The Department of Classics and Religious Studies is delighted to welcome renowned author and commentator on religion Karen Armstrong. 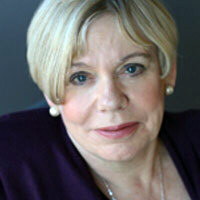 Karen Armstrong (OBE, FRSL), a noted thinker on the role of religion in the modern world, has written over 20 books that explore what Judaism, Christianity, and Islam have in common and explain how religious traditions have shaped world history and drive current events. Her books include A History of God, which became an international bestseller; The Battle for God, A History of Fundamentalism; Islam; Buddha; and The Great Transformation; as well as a memoir, The Spiral Staircase. Her work has been translated into 43 languages. The lecture in English will be followed by a question period. Please register to this event by November 1st, 2018. Although attendance is free, registration is mandatory as the number of seats available is limited. This lecture is part of the McMartin Memorial Lecture Series, which seeks to engage eminent scholars on ethical or religious issues in contemporary life and education. Karen Armstrong has addressed members of the US Congress on three occasions, and given lectures to policy makers at the US State Department. In 2006, she was invited by Kofi Anan to join the High-Level Group of the new UN Alliance of Civilisations. In 2008, she was awarded the Franklin D. Roosevelt Four Freedoms Medal. In 2009, she was awarded the TED Prize and with TED, she founded the Charter for Compassion, which is now a global movement. From 2008 to 2016, she was a trustee of the British Museum. In 2013, she was awarded the inaugural British Academy Al-Rodhan Prize for Improving Intercultural Relations, and in 2017, she was awarded the Princess of Asturias Award for Social Sciences.